The Licenses view details all currently active licenses for the account. Clicking on the Expired licenses tab shows the expired licenses. Order nr. – order which contained the products. Product – what product the license is for. 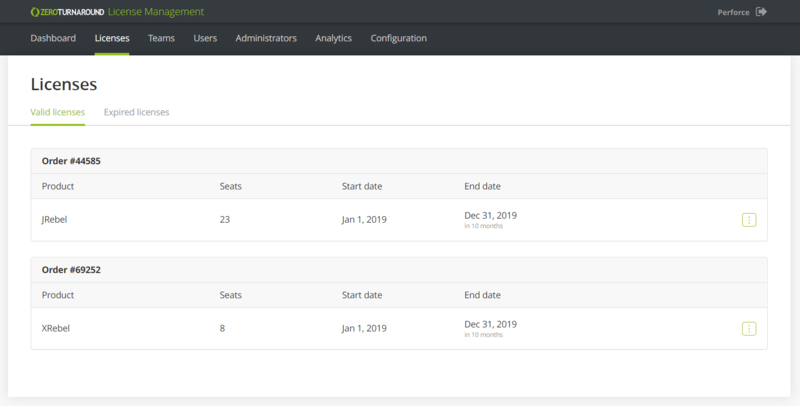 Seats – how many seats are available for the product in this license. Start date and End date – license validity period. 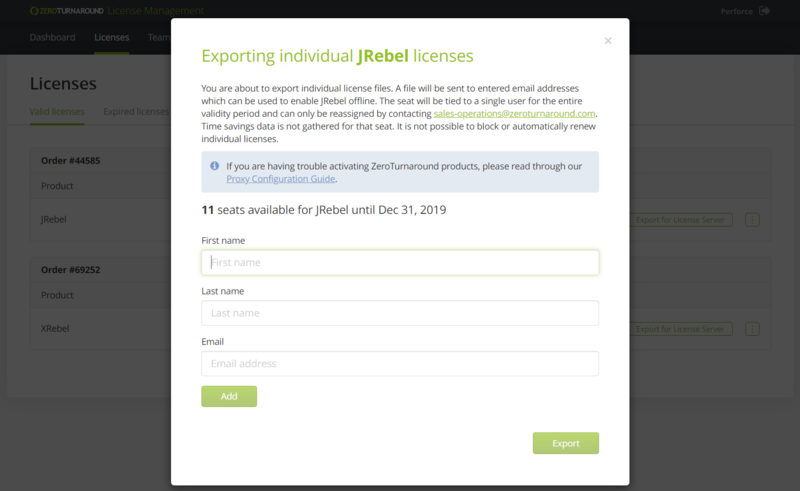 New and renewed licenses are automatically uploaded by ZeroTurnaround. The new licenses will appear in the Licenses section. You will receive an email with your order details upon it becoming available. To export an individual license, press the ... context menu next to the license you wish to export and select Export individual license. Specify the full name and email address to send the individual license to. You can export to multiple people at once. The email recipients will receive instructions together with the license file that can be used to activate and use the product offline. Time savings data is not gathered for an individual license. An individual license can only be reassigned by contacting sales-operations@zeroturnaround.com. The license expires at the time indicated.